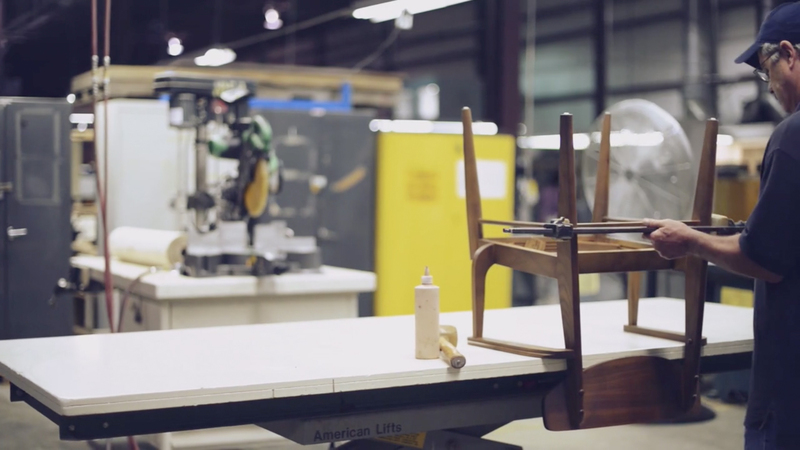 What’s a 90-year-old American furniture maker to do when it moves its manufacturing overseas? Rediscover itself. We worked with Stanley Furniture to reimagine the brand through its British family heritage and meticulous attention to detail. Facing mounting domestic production costs and a complicated market, Stanley Furniture shifted its domestic manufacturing overseas after nearly a century as American-made. Suddenly, the company faced an identity crisis. Stanley enlisted MODE to develop a comprehensive new brand experience, and in doing so, redefine their product, operations and place within the luxury home furnishings market. As we developed the brand, we were inspired by the remarkably thoughtful craftsmanship and extraordinary quality of their products, which led us to an intriguing new positioning: It’s the details that define us. This idea pervaded every customer touchpoint as we phased the rollout of the new brand across both flagship showrooms, all mediums and with three key audiences: internal, trade, and consumer. A reimagined brand mark extended Stanley Furniture beyond its Virginian roots while honoring the family’s European heritage and borrowing symbolism from the family crest. Our work entailed a complete redesign of every customer touchpoint, elevating the verbal and visual language in their products, showrooms, and marketing materials. We conceived and produced seasonal photography that captured the elegance of the brand’s aspirational lifestyle and tells distinctive narratives based on the inspiration behind each collection. Our team of art directors, producers, and production partners worked hand in hand with Stanley to authentically tell their brand story. Market and collection specific initiatives, over the years, have lead to exciting measurable results while also building an audience and defining a category.